Firstly, a big thank you to Ellie of Musings of a Bookshop Girl who sent me this as a R.A.K. last week. Secondly, this book sparkles. Not in a wow-this-book-is-exceptional way, it actually, quite literally, sparkles. Cue the necessary girly over-excitement that proves the book’s entire point. 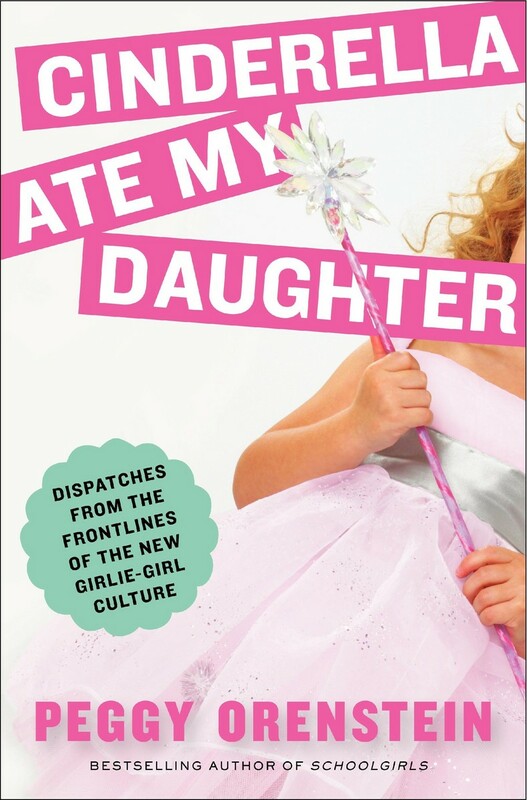 From Amazon – ‘The acclaimed author reveals the dark side of pink and pretty: the rise of the girlie-girl, she warns, is not that innocent. Just like Tolstoy and the Purple Chair (review here), I thoroughly enjoyed the book but just didn’t agree with the author’s ideas. 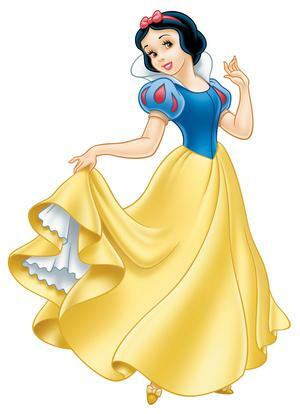 Her theory goes that little girls who are exposed to Disney Princesses and their ilk are likely to grow up being overly obsessed with their looks and directly connect their self-worth to their appearance. I can see her point, but surely any half-decent parent can reinforce the belief that it’s what’s inside that counts. Ms. Orenstein approaches the issue rather like a Glitter Nazi and is actually surprised when her daughter still wants to be read a fairy tale. I’m all for explaining to children that life is not a fairytale and there is more to it than waiting for your handsome prince. But all I can think is that my Disney-enhanced childhood never did me any harm. How can you reasonably expect to ‘shield’ your child from a fairytale? Aside from anything else, why would you want to? Yes, Snow White pretty much only tidies and cleans, but she does that in return for living in the dwarves’ cottage rent-free. I can think of much worse alternatives for her to earn her keep. The author constantly wavers between muttering madly about pink unicorns and remembering logically that little girls embrace pink, tea sets and princesses because they don’t understand that gender is biological. They think that to be a girl, you somehow have to ‘prove’ it by acting like one. She comes across as very confused, like she can never quite decide which side of the unicorn to land on. 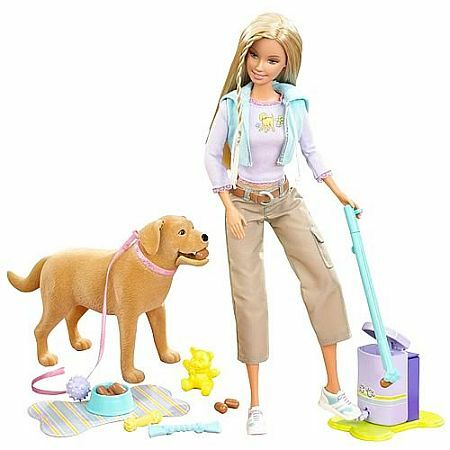 ‘While I was off searching for cleanser, Steven told Daisy she could have a cheesy blue Fairytopia Barbie with crappy plastic wings. I demanded that he take it away from her. She started to cry. So I gave her it back. “You’re confusing her,” Steven said. I did the mature thing: I blamed him. He was right, so I took the doll away again. I promised I would get her a well-made- Barbie instead, perhaps a Cleopatra Barbie I had seen on eBay, which, at the very least, was not white or blonde and had something to offer besides high-heeled feet. As if the ankh pendant and peculiar tan made it att okay. I wouldn’t mind so much if she approached the issue objectively or admitted her confusion. Instead, she acts as if her God-given mission was to annihilate all forms of Girl (*shudders*) from the Earth. I just don’t understand. Surely brainwashing your child against so-called girliness only implies that femininity is something to be pushed away and look down upon? How will that affect her daughter’s future relationships with other women? I do agree with some of her points. I don’t think I’d ever be happy to buy my child a Bratz doll with their obscene pouts and over-applied make-up, and I believe that Miley Cyrus needs to put some more clothes on if she wants to continue being an acceptable role model for some children. It’s just that sometimes Ms. Orenstein goes a little overboard – she actually, honest-to-God, no exaggeration, thinks Twilight is a better role model for children than The Little Mermaid. Bella Swan. The girl who throws herself off a cliff to haer Edward’s voice one more time and lies in bed for three months screaming his name, then runs off with a half-naked werewolf while constantly telling a vampire that she is nothing without him. That Bella. That’s the one that’s the better role model. You must have deep-seated, psychological issues to think that Twilight is good for your children. I’m pretty sure Peggy Orenstein was molested in Disneyland as a child. Again, I’m being argumentative and cynical. But hey, Law school does that to a girl. Besides, I did enjoy the book. I’d half-expected dull essays peppered with long marketing figures from Mattel, but it’s nothing like that. Ms. Orenstein writes very, very well with a dry sense of humour that amused me even as I half-wanted to throttle her. Her anecdotes about her daughter’s desperate need for Princess fluff despite Peggy’s best efforts really bring the ‘problem’ to life. I particularly enjoyed the chapter on the rise of Barbie and I’ve added a biography of that particular doll to my wishlist. I hadn’t realised that the creator of Bratz was sued by Mattel for designing his doll while on the Barbie payroll. It’s full of other gender-related facts that I found to be genuinely interesting. I don’t mean to slate the book, as I have a problem with the author’s ideas, not her writing. I’ll even look into buying her previous book. But you can’t read a book like this without choosing sides and, I have to say one again, Cinderella never did me any harm. Seriously? Twilight? Bella Swan is just about the worst role model I could think of! It's like basically telling your child that the guy you meet at sixteen actually IS the only one for you and therefore giving them licence to go absolutely more mental than they otherwise would when it all goes to hell. I really don't think there's anything wrong with believing in happy endings, as long as you understand reality, too. And honestly, unless you're bringing your child up on ONLY disney films and nothing else, (in which case you probavly have issues of your own… :-P) I don't see the harm. I think i'm gonna have to get hold of a copy of this!